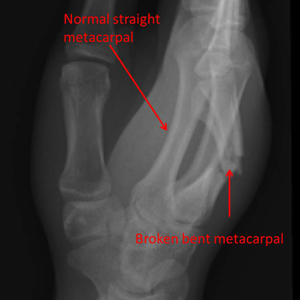 This patient broke the metacarpals of the index, middle and ring fingers. 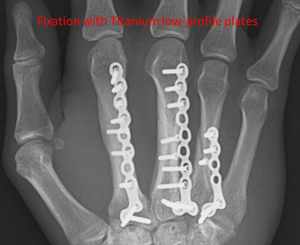 All fractures were fixed using Titanium plates, allowing early mobilisation. 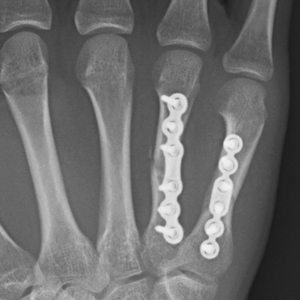 16 year-old with typical punch injury that required surgery. 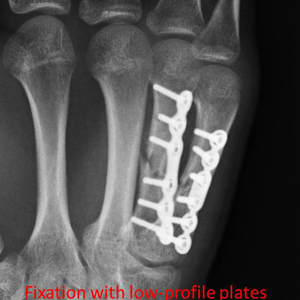 Under general anaesthetic both fractures fixed with low-profile plates. 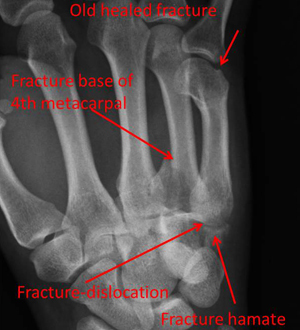 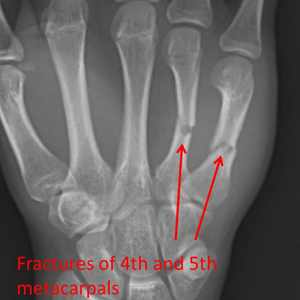 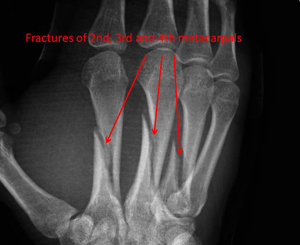 Punch injury resulting in fracture-dislocations of the 4th and 5th metacarpals with involvement of the hamate. 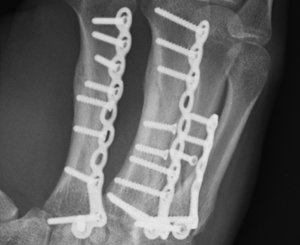 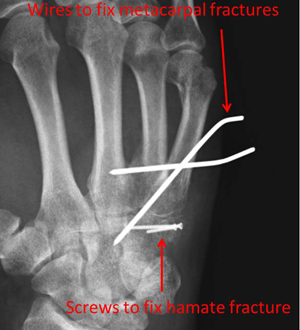 The hamate fracture was fixed with two mini-screws, the other fractures stabilised with wires. 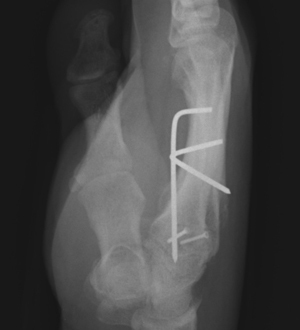 The wires were removed 4 weeks following the operation.